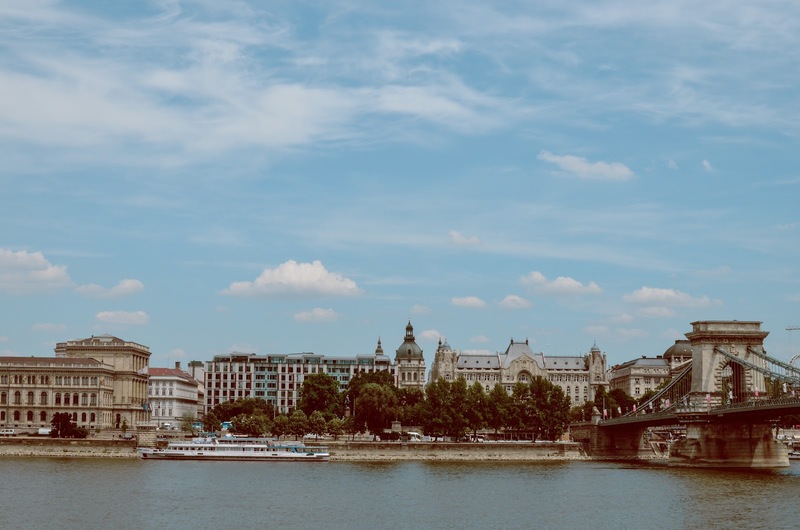 This post is all about eating and drinking in Budapest, so if you’re wondering what we got up to while we were there (also on a budget) check out my 5 nights in Budapest blogpost. 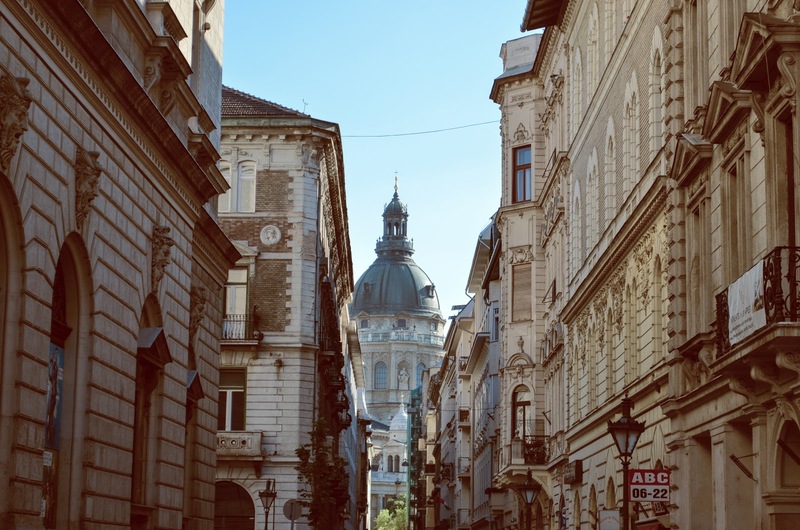 Although we were staying in a fully equipped Airbnb, when we realised just how cheap eating and drinking out in the city was, we couldn’t resist exploring what food Budapest had to offer. We ate at a variety of different places and discovered some traditional Hungarian dishes along the way too, but it wasn’t just eating out that was so affordable, beer and wine was literally costing us pennies. What more could you ask for as a student traveller? So, here are a few of the places we visited and would recommend to travellers exploring the city on a budget. Our Airbnb host recommended Cafe CSiga to us when we arrived in Budapest, he told us it was one of his favourite local places to eat. As we had arrived around 6pm and the weather was awful we decided to give it a go as we just wanted to eat and head back to our apartment ready for our first full day in the city. The restaurant had a wonderful atmosphere, because even though it was dark and miserable outside, we felt cosy and comfortable inside. They had plenty to choose from on the menu, and the translations in English (Phew). Although I did end up ordering a risotto made with black rice, which must have gotten lost in the Google Translate somewhere along the line. I was a bit shocked when they put it on the table, but that said, the risotto was lovely and creamy and Sam really enjoyed the ribs he had ordered. On our last night we decided to stay local and eat here again as we had to pack up the apartment ready to be out in the morning. We both ordered the hamburger, which was loaded with cheese and bacon and served with chunky homemade wedges. Each burger was 1 980 HUF (approx. £5) and of course we both had a beer. To finish our trip, we visited again for breakfast on our last morning. This was probably the best value meal we had in Budapest as we ordered a Croque monsieur and Croque madam for 980 HUF each (approx. £2.91) and we also received an iced coffee for myself, tea for Sam, orange juice for us both and an espresso each for an extra 550 HUF (approx. £1.60). Our breakfasts were served on sourdough bread and the coffee was just what we needed to set us up for a day of travelling. Next, one of my favourite spots for lunch. When we stumbled across this little Hummusbar when we were both absolutely starving and dodging the rain so couldn’t help but stop. It’s set out similar to a Subway, where you choose your filling and then they fill up a pitta with your chosen meat or veggies. I went for the grilled chicken pitta, which was 890 HUF (£2.70). Luckily for students they offered 10% off so we got out Hummusbar pittas even cheaper. Hummusbar has lots restaurants dotted around Budapest in the busier areas so they are easy to find, and a cheap quick lunch for on the go! If like me, you have a sweet tooth you have to visit Fánki Donuts or one of the bakery’s in Budapest. The lovely lady that owns this little cafe was so sweet and gave me a run through of the flavours about three times as I couldn’t decide which one to get! In the end I opted for a Toffifee flavour donut, which fulfilled my sweet craving. You could tell they were freshly baked and enjoyed by a lot of people because by lunchtime she only had a few of each flavour left. We both wanted to try a traditional Hungarian Goulash, but most places we visited only served it as a starter so we didn’t get to try it in the end. Although we did search especially (thanks to Trip Advisor) for a restaurant serving Traditional Hungarian home cooked food. Sam had had his eye on trying their Chicken Paprikash, so we both ordered this dish with a beer. I have to say it wasn’t particularly my favourite dish as I’m not a huge fan of chicken on the bone, but it was worth trying something traditional while we were there! There are lots of small traditional restaurants in Budapest but it’s best to try and find one away from the centre and tourist areas as you will get a more authentic feel from a smaller family run business. Ruin bars and pubs are a huge thing in Hungary, with cheap drinks and a quirky atmosphere, they are the great place to spend a night or even somewhere if you fancy drinks at lunchtime. I couldn’t remember the name of the one we visited, which was in a courtyard filled with fairy lights, pool tables and lots of travellers as there was a hostel upstairs. Here is a good website to find ones close to where you may be staying. As well as their open air bars, family run restaurants and quirky little lunch spots, the city is also known for its market halls, supplying the city with fresh fruit, veg, baked goods, meats and cheese every day. So those were a few of the many places we tried while squeezing in as much as we could into 5 days. I hope this little guide helps anyone planning a trip, or anyone looking for a cheap getaway this summer! 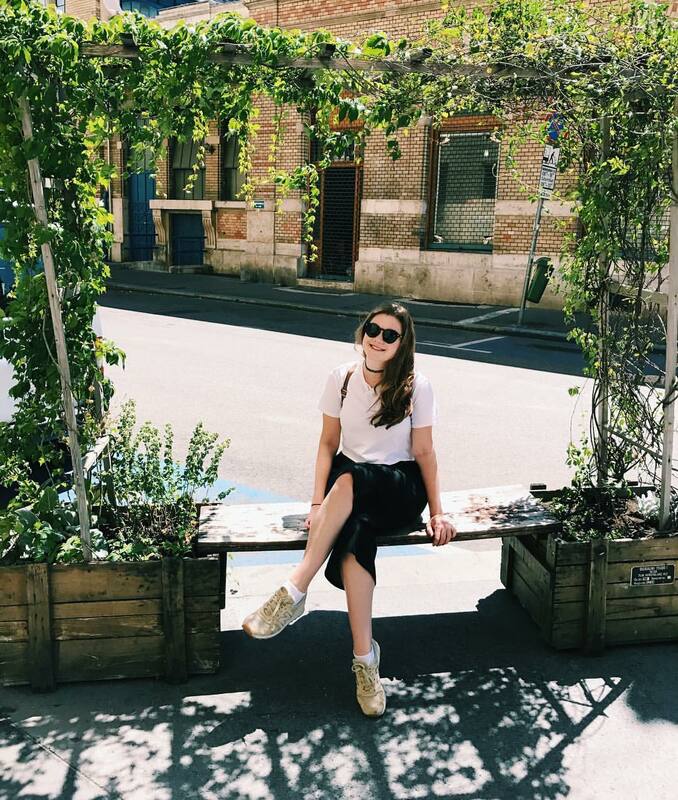 Have any of you been to Budapest before? If so, what did you think?